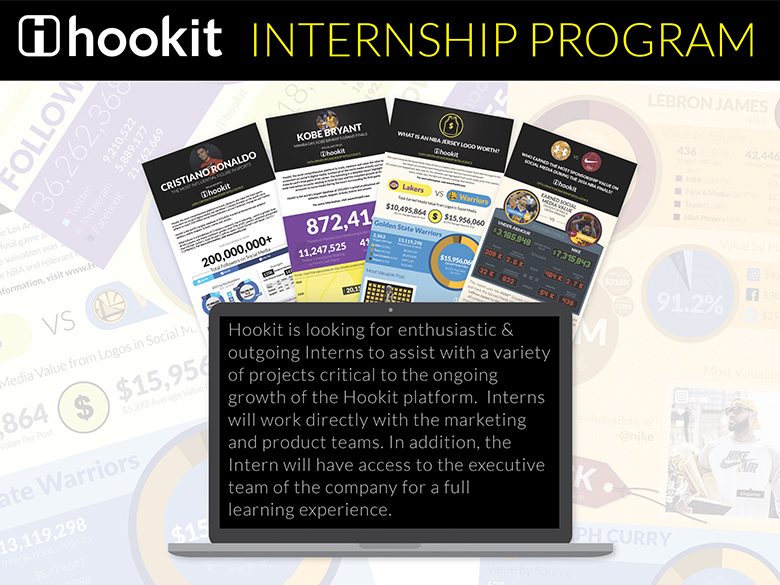 Hookit Has a Brand New Internship Program! Hookit tracks, measures and values sports sponsorship and activation beyond traditional media channels to quantify value from the rapidly expanding social and digital media landscape. No other company can measure value exchanged between athletes, brands, media, events, league and federations like Hookit. Athletes talk. Fans talk. We listen. In addition, athletes across the globe use Hookit to track their progression, build their personal brand, and earn sponsorships deals from their favorite brands. Brand partners are provided with powerful tools to discover, manage, and reward amateur and professional athletes who actively support their brand. For more information, visit http://www.hookit.com/. Casual office environment located on the 101 in Solana Beach….walk to the track and the beach! Please submit a resume, hours you are available each week and a write-up on why you want this opportunity. Submissions without this info will not be reviewed. This is an unpaid internship program.